Junk hauling, it’s what we do. Tired of all that junk sitting around your house? Don’t have time to sort through, lift, load and haul it all off? Removing your household junk can be a time consuming and exhausting process from start to finish. Most people put it off as long as they can but you no longer have too with us! Junk hauling is what we do. We make getting rid of your household's junk super simple! Have new furniture coming and don’t know what to do with the old couch? Garage piled up with boxes and old broken appliances? Let us make your life easier by ridding you off all that junk! Household junk removal in Marietta, all done in three easy steps! We all know how our household appliances better our lives every day, but nothing last forever. Due to use, wear and tear and time they eventually stop working even after repairs. Now you need it removed, but where do you start? This process can be difficult as each state has regulations for proper disposal of household appliances, and where do you find the time to find all this out and remove it? Let us take care of the problem! We are able to remove and recycle appliances every day of the week! We know and follow all Federal, state, and local laws regarding the removal and recycling of all household appliances. 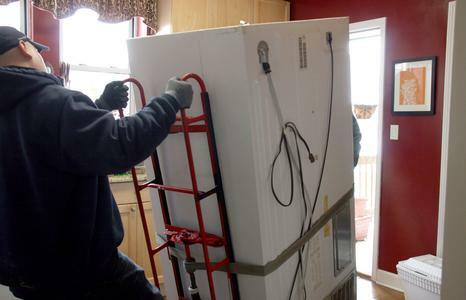 Our technicians are fully licensed and insured to remove any of your old appliances. When we arrive to remove your old appliance, you’ll be able to just sit back and relax! We’ll promptly arrive at your home and take care of all that heavy lifting, hauling, loading and recycling! Updating your kitchen and the appliance still works? We’ll take that too, and on your behalf, we’ll donate it to someone in need! Hot tubs can be a lot of fun to have. They are great for when you need an at-home relaxation retreat. Hot tubs are not, however, much fun when they break. Repairs can be expensive and easily put off until the tub is beyond salvaging. Do you have an old hut tub taking up space you could be using for something else? Is it becoming a part of nature, or does it have a gross moldy odor? If so, it might be time to consider removing it completely. Hot tubs, when left unused or broken, can eventually cause you a number of safety and health concerns.They can grow harmful fungi or molds, cause injury, attract insects & other pests, or even cause rot of supporting structures. If you have a hot tub that you don’t use, and don’t plan to use again, it is much safer to just remove it sooner than later. Getting rid of an old hot tub is a much bigger ordeal than is recommended for anyone to try doing on their own or without a professional. Hot tub removal in Marietta doesn’t have to be a nightmare. 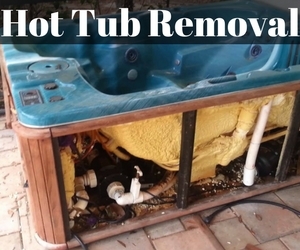 We can be your professional when removing your old or broken hot tub from your property. 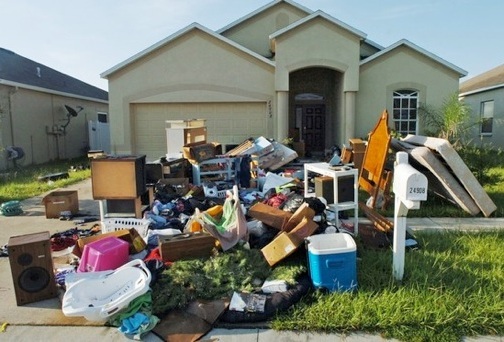 We have the equipment and experience to uninstall it, haul it, as well as take with us any other ugly debris that might have accumulated around it. We will also make sure that your jacuzzi, hot tub, or spa will be removed in line with all local and state disposal regulations. As an added bonus, depending on the condition, we may be able to donate or recycle it instead of dumping units that could still be used whole or in part by someone else. Free Up Space with Same Day Furniture Removal in Marietta! Don’t have time to remove that old dresser? Do you have space in your home that could be better utilized with something newer? Or are your current hauling needs just too big of a job to handle alone? Our team of experts are well trained, professional, efficient, fast, and careful. Our background checked technicians will arrive when you need them and can handle any job big or small. We can remove mattresses, tables, dresser sets, couches, gaming equipment, and bookcases from both homes and office buildings. 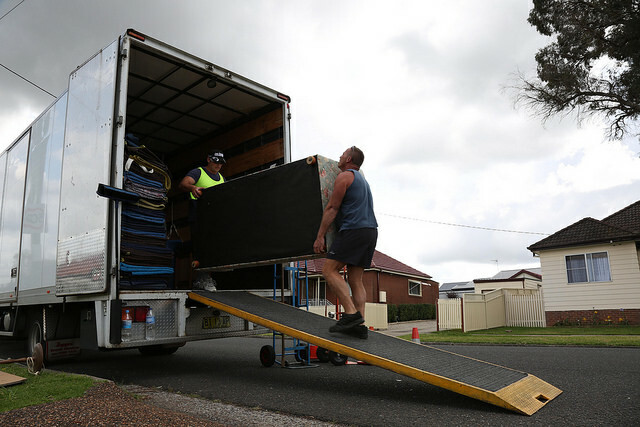 The leaders in affordable furniture removal, we guarantee low rates that will beat our competitors. If you find a lower rate, let us know and we will quote you something better. And depending on the condition of the furniture, we will also donate it to charity or recycle it whenever we are able. Have Your Junk Removed Today! 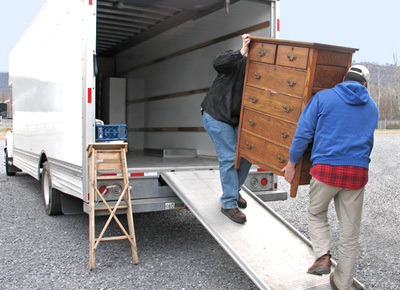 It has never been so easy or affordable to have your furniture removed in Marietta! We are local and experienced with Marietta’s laws and regulations for removal and disposal. Everyone enjoys a beautifully manicured lawn so what do you do with all that left over unsightly debris? Taking that extra time and putting in the back-breaking effort is just exhausting. All that bending, lifting and hauling is sure to leave anyone tired. Take the work out of the job and let us come and remove it for you! We make removing yard debris and trash and simple task! We take everything and anything! Leaves, limbs, logs, and clippings, give us a call we’ll take it all! Yard debris removal in Marietta is made easy for you.